AMD Radeon VII 7nm GPU Now In India, Can It Beat Nvidia RTX 2080? AMD Radeon VII 7nm GPU Launched In India, Can It Beat Nvidia RTX 2080? Whether it’s in desktops or laptops, You’ll find Nvidia’s RTX graphics cards everywhere. But now, it seems like AMD is ready to answer with its new GPU. AMD Radeon VII is the first consumer-centric GPU in the world based on 7nm manufacturing architecture. Radeon 7 graphic card launched in India a few days back, however, initially introduced at CES 2019. The new AMD Radeon VII is said to deliver twice the memory and the bandwidth when compared predecessors. It features 60 compute units offering 3,840 stream processors and clocks up to 1,750MHz. Further, It comes with 16GB of HMB2 memory which is 5GB more than the high-end Nvidia RTX 2080Ti. Alongside, There is also 1TB per second memory bandwidth. The GPU claims to offer high-end DirectX12 and Vulkan performance with improvements of 35 percent in Battlefield V and 42 percent in Strange Brigade compared to the Radeon Vega 64. Nvidia launched its RTX 2080 at a price of Rs 56,716 (roughly) but has since seen the release of more affordable third-party alternatives. Now, depending on the cooling options and aftermarket features it is available in different range of price from Rs 49,633 – Rs 56,724. Now coming on to newly launched AMD’s flagship, It was introduced at a price of Rs 49,751 at CES 2019, now officially available in India for Rs 54,000. 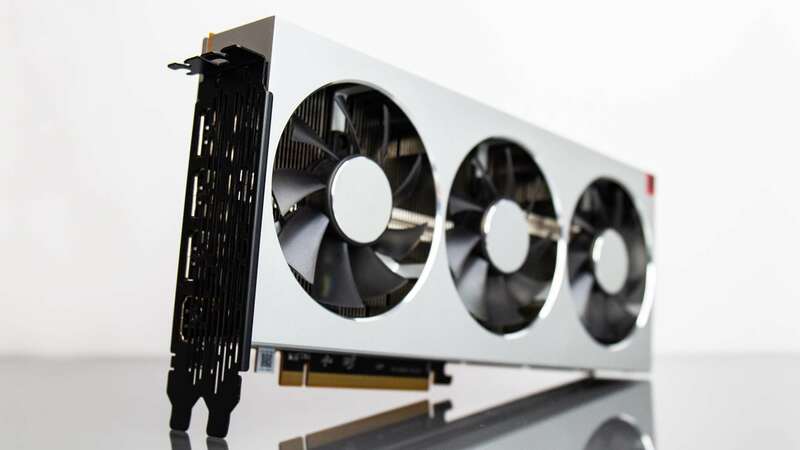 Currently, AMD Radeon VII is only available with some third-party alternatives. Moreover, It is even available with three free games as part of ‘Game promotion’ which offers Resident Evil 2, The Division 2, and Devil May Cry 5. At the largest trade show of the year, AMD mentioned that Radeon 7 will compete with Nvidia RTX 2080 GPU. Although specifications are not directly comparable because of the difference in design of the graphic card. The new Radeon is a successor to Vega architecture, but its design is quite different from its predecessor. The 7nm process makes the GPU itself smaller. Whereas, The competitor is built on Nvidia’s new Turing architecture and is paired with GDDR6 memory. It runs at a higher speed than the 10-series Pascal graphics cards. As mentioned above, Radeon VII provides twice as much RAM as found in RTX 2080. Moving further, AMD’s RAM also offers 2.1 the bandwidth of Nvidia’s RTX 2080. The power hungry GPU requires two eight-pin connections and sips up to 300 watts of power, which is not only around five more watts than the previous generation’s requirement but 75 more than RTX 2080. AMD’s flagship GPU doesn’t support real-time ray-tracing tech like RTX 2080. The real-time ray-tracing tech basically enhances the gaming experience making it more lifelike, especially when it comes to lighting. It is cheaper than Nvidia’s, for sure, but it might have a tough time in India. Next articleIs ‘iQOO’ Vivo’s Strategy To Sell Premium Flagship Smartphones?